Our clear vinyl shopping totes are great for open houses, special events, school, sewing projects, beach, vacation/travel, and perfect for resale. 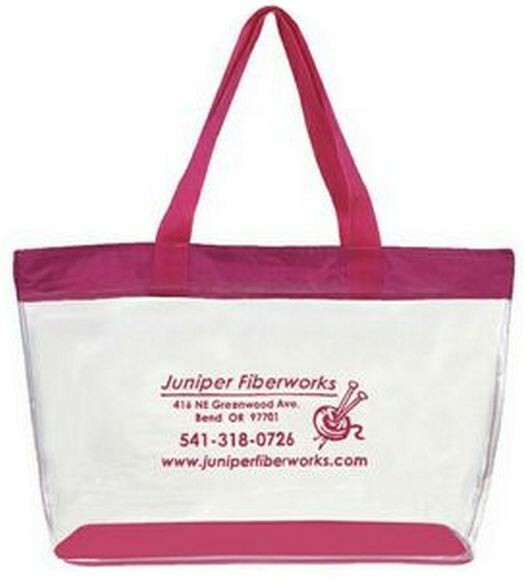 The bags can also be customized with your business name and logo with a full color screen print. Pricing below includes a one color imprint. Bag size is 20 x 5 x 13. The bags are also available in custom sizes and colors. Contact us for additional details.